With the release of the iPhone 6 technology is continuing to be an extremely important part of our lives. Regardless of whether you are an Apple fan or an Android fan, you need to be able to take your technology with you wherever you go. GM recognizes this and is making it easier than ever to integrate your technology into your vehicle. And most importantly, integrate it safely, so that all of your attention is focused on the road and not on your device. In Chevrolet models you will find the available MyLink system and in GMC and Buick models you will find the available Intellilink system. Both are user friendly and seamlessly connect to your device. The first thing you will notice is the customizable color touch-screen display. Here you can access available navigation, entertainment, contacts, apps and other features with ease. With MyLink and Intellilink, you have the choice of hooking up your smartphone via USB cable or streaming everything via the Bluetooth connection. Either way, you can then access music, playlists and apps. No more scratched CDs, no more intermittent radio connections with lousy commercials. You can pick and listen to your favorite artists right from your phone. 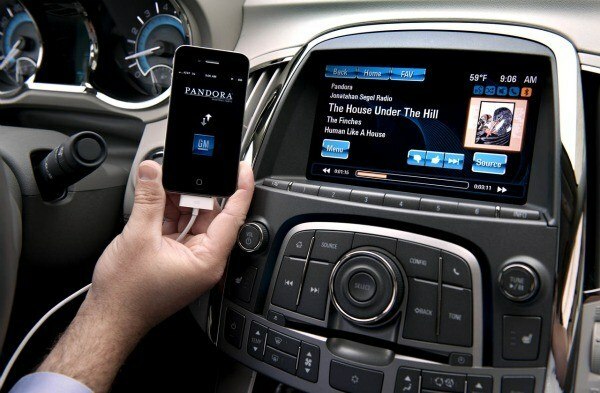 Or use the XM Satellite radio or Pandora Internet radio for even more choice and selection. The Bluetooth connectivity also allows you to safely receive and make phone calls while you are behind the wheel. 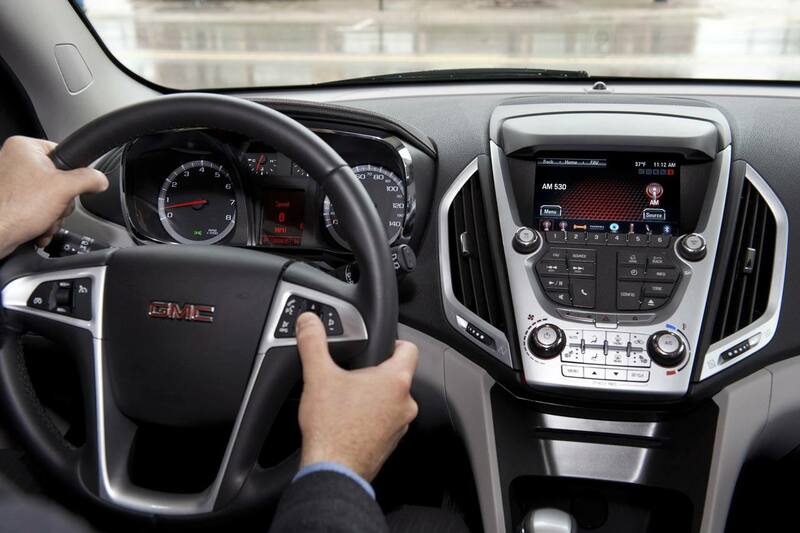 GM vehicles come with steering wheel audio and Bluetooth controls to keep your hands directly on the wheel. Use the voice command functions to call a contact in your phone book, keeping your eyes and attention on the road. The call will then come through your vehicle speakers, and your phone will remain safely tucked away out of sight. iPhone users also benefit from Siri Eyes Free! This allows you to access important messages while driving, without compromising safety. Your hands stay on the wheel and eyes stay on the road. This app will read out text messages to you and allow you to reply, make calls, listen to music and more. 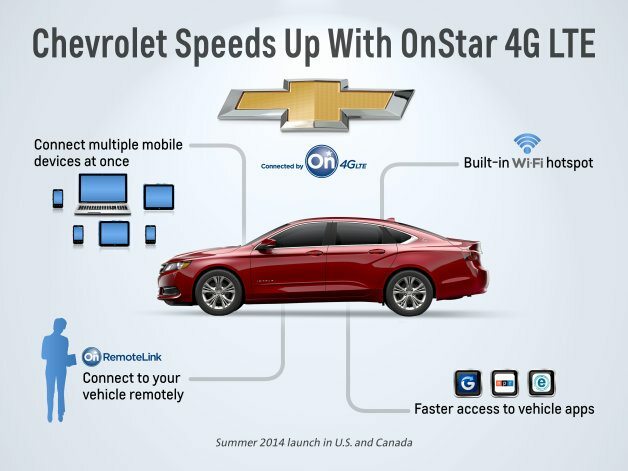 Another new function coming to 2015 models is OnStar with 4G LTE Wi-Fi. This turns your vehicle into a mobile hotspot and allows you to access a password protected Wi-Fi connection within your vehicle. Now you can access emails and business documents, update your social media, look for directions or restaurants and stream videos and games all while away from home. It is great for those who work out of their vehicle and for those looking to stay entertained while on the road. It is a great alternative to using your smartphone as a mobile hotspot. All eligible 2015 models come with a trial period of OnStar 4G LTE after purchase. When you are behind the wheel, it is important to always keep your full attention on the road. You should only be using technologies with your smartphone after you know how to properly operate them. Spend some time playing around with the new technology before you hit the road to make sure you are comfortable and confident with its operation. You can also come down to Eagle Ridge GM to see how this would pair with your phone. We can sync your phone to a vehicle so you can test out the features. Then before you go, we can un-sync your phone and none of your information will be on the system or in the vehicle. It’s a great way to see how easy the technology is to use. For more information, please visit http://eagleridgegm.com, call (604) 507-5542 or come down to 2595 Barnet Highway in Coquitlam, BC!